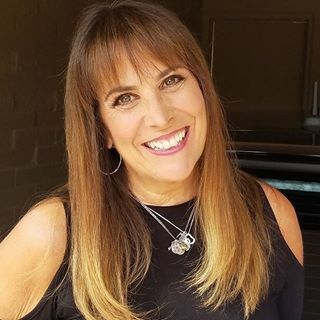 Nancy A. Shenker is a marketing innovator, brand builder, writer, speaker, and self-proclaimed rule breaker. Over the course of her 40-year business and marketing career, she has been a C-level executive, an entrepreneur, and a mentor to hundreds of small businesses at all stages. As an industry veteran, what trend has had the biggest impact on advertising, specifically LOCAL? Geo-targeting and individual data based on location and browsing behavior, combined with voice technology is transforming the advertising industry. Brands can now personalize product suggestions and messaging with a level of precision they never had before. Consumers can use their devices (in their homes and pockets) to find things to buy/do/consume. Talking is rapidly replacing texting and typing. How has your perspective changed on the ad industry? A separation between broad-based advertising and direct marketing has always existed in the industry, but now that wall has crumbled. The consumer is truly at the epicenter of brand marketing and the amount of data available at an individual level is vast and growing. The ad industry is beginning to catch up, but the pace needs to accelerate. AI and machine learning will also become staples of agency and brand decision-making, as ad plans will be fluid and fully automated. Functional silos within agencies will start to break down as analysis and targeting become part of everyone’s job. Eventually, we’ll stop talking about online and offline. The industry is constantly evolving. What should be keeping marketers up at night? I hope no one is lying awake at night. Lots of sleep will be needed as we navigate the future of marketing together. But every marketer needs to understand – at a deep and broad level – how individual consumers are behaving and what their values and needs are. The data is out there, but many marketers are working with old systems and old perspectives, where the brand (rather than the consumer at a point in time) is the primary focal point. Assembling the right people and the right tech stack to crack the code is key. Read, read, read. I subscribe to 100’s of e-zines and voraciously read LinkedIn posts from industry influencers and experts. I also attend a few high-quality conferences every year. If you had a crystal ball, what do you predict will be the biggest influencer in local advertising? AI will ultimately be making and guiding decisions. That’s why my book is called “Embrace the Machine.” We all need to learn how to use these superpowers to our best advantage. Products and services, creative, and price will all be hyper-targeted to a “market of one” – instantaneously. How about a personal goal you look to achieve in 2018? As an early pioneer in tech-based marketing, I would love to see more women get into the field and I am also an advocate for cross-generational collaboration. The marketers of the future will need to understand both technology AND human dynamics. Little did I know when I majored in English and Psychology (and embraced technology at an early age) that those were the key skills needed for the future of local marketing. Founder of theONswitch marketing, Nancy was formerly a senior executive for major consumer and business brands, including Citibank, MasterCard, and Reed Exhibitions. She has written four books, and publishes a women’s entrepreneur community (www.sheBOOM.com), as well as AI/machine learning/robotics site (www.EmbracetheMachine.com) and travel and lifestyle site (www.BleisureLiving.com). She also writes a column for Inc.com called Bots & Bodies (about the human side of tech) and is a contributor to Street Fight and other media.